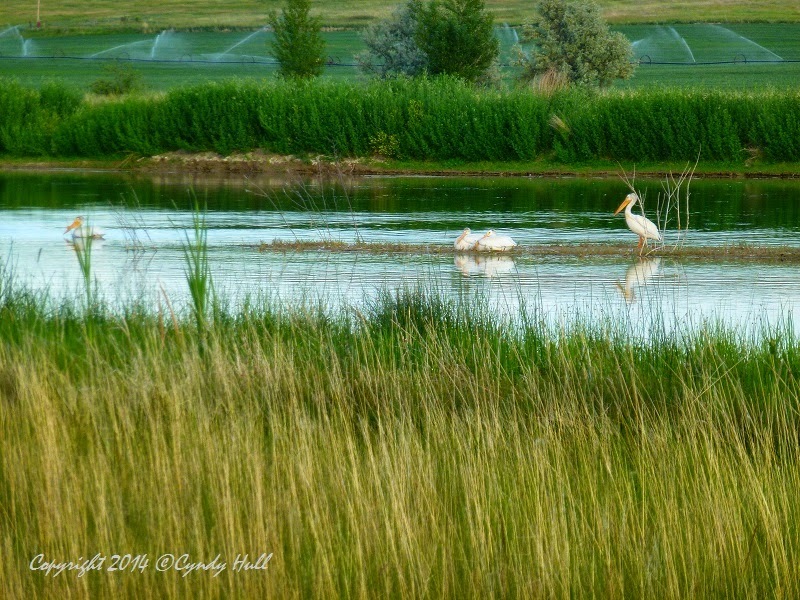 Just east of Fort Shaw, Montana, I pulled onto a side road running along the wetlands where the pictured American White Pelicans lounged. I did notice a small orange windsock, but only fleetingly wondered why a bird sanctuary might need to know wind direction and strength. The long, straight dirt road was just the right distance away to observe yet not startle the floating birds, and a beautiful place for an early evening photo stroll. Yes, in mere nano-seconds, all manner of “could have happened” thoughts raced through my brain, yet I managed to spout profuse apologies. Thankfully, this watchful airstrip angel let me off with a grace note: “But it’s okay that you were taking pictures”, then revved up into gear, efficiently checked left and right for traffic, and moseyed back across from whence she came. Thank the good Lord for those who watch over idiots.